Bitcoin is a Crypto Currency. It means that the currency is not controlled by a country or an individual but a coin that is generated by solving mathematical formula in a process called mining which gets hard and harder each time ( You also can do mining but it does need a higher investment for equipment and you will need to bare heavy electricity cost unless you are in a country with a low electricity fee or you have a method of getting low electricity ). Currently bitcoin is accepted by many online retailers as well as businesses world wide including prominent multi international companies. Microsoft, Stripe, Shopify, Namecheap, Namesilo, Bloomberg, WordPress, Virgin Galactic, Dell are some of the major companies that accepts Bitcoins online. Also it is heavily accepted by retailers in Japan. Currently over 100,000 shops in Japan accepts Bitcoin based payments for services and products. So you do not need to get worried ! It will grow though we see a price corrections time to time with bitcoins. So that is past, what could we do now ? Why Some are selling bitcoins ? Why Don't they keep bitcoins ? We keep our money in banks right ? Bitcoin is a virtual currency, therefore it needs to be stored in a similer place called Bitcoin Wallet. 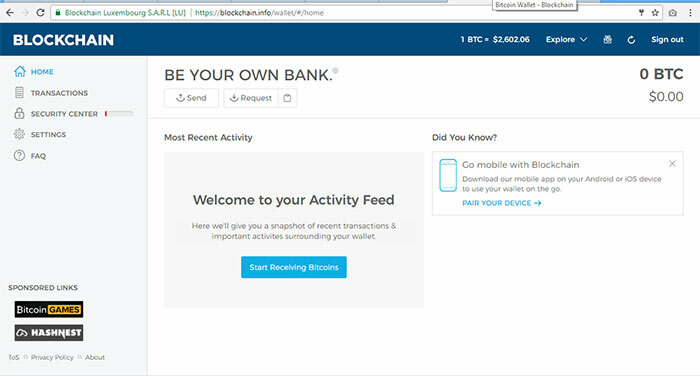 Once you create a bitcoin wallet, You will get an account address ( not account ID ) each time to receive bitcoins. It will be something like below bitcoin address. Let's make a Bitcoin Wallet ! Once you register, you will get a window just like below one. Also you will get a confirmation email to your email account. In the email, click "Yes, This Is My Email" to confirm that it is your email. 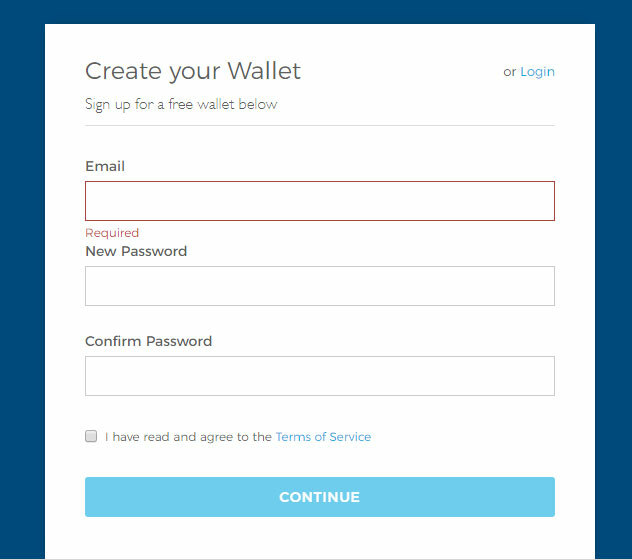 Also at the bottom of the email, you will see "Your Wallet ID: #########". Keep this ID in a safe place. 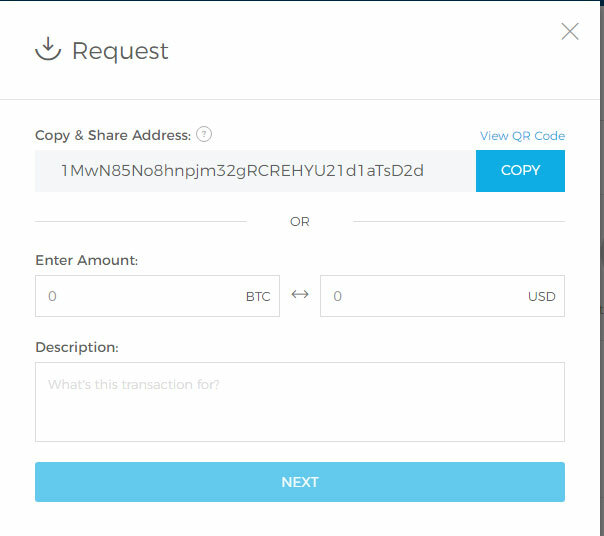 don't give this to anyone else ( This is your ID not the bitcoin address to receive payments. ). You can login using this ID with your password to your account. On the left side of your account. You will see a link called "Security Center". Using this link make your account more secure by adding phone number, 2factor authentication etc. 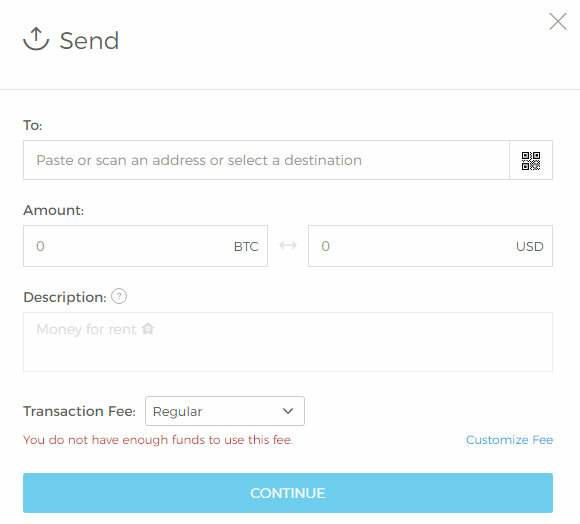 "SEND" - Using this button you can send bitcoins from your wallet to any other bitcoin address. A bitcoin will cost around $2500. So those who are not able afford that much can buy $10, $100, $200, $500etc worth of bitcoins now. For example if you buy $100 worth of bitcoins. You will get aprox. around 0.04BTC. So we can purchase bitcoins in several ways as below. Easiest way is to buy it using Paypal, Neteller, Skrill or Payza using Bitcoin market as below websites. Ideal for small quantities and faster processing. Always make sure the seller has a positive rating. Also make sure the seller does not ask your personnel details & card details ( Seller may ask like screenshot of last three or five transaction in Paypal, Neteller, Skrill or Payza etc which is fine ) as it is a market. Always buy from positive rated sellers with less identity verification requests. If you want to buy using your credit card. You can use the below website. It is cheaper too compared to above method ( It has a minimum transaction limit unlike Paxful where you can even buy $5 worth of bitcoins ). Always make sure to transfer the bitcoins you buy from that website to your wallet in blockchain.info for safety. Futurenet You can get your earning from rev-share website as bitcoins too. You can exchange Payeer or other crypto currencies ( alt coins ) with bitcoins from below bitcoin exchanger.